In his final press conference of the year, President Barack Obama defended the various achievements of his presidency, accused Syrian President Bashar al-Assad's regime of attempting to "slaughter its way to legitimacy," and pushed back on skepticism over reports Russia attempt to interfere in the U.S. election. But while Obama was clear in blaming Russia for hacks on the Democratic National Committee, some viewers felt his incredibly calm demeanor left something to be desired. "Based on uniform intelligence assessments, the Russians were responsible for hacking the DNC," Obama said. When asked to address concerns he was allowing Russian President Vladimir Putin to get away with meddling in a U.S. election, Obama said he had told Putin "to cut it out" in September. The president claimed "we did not see further tampering of the election process" but that DNC emails had already been leaked to Wikileaks. Although Obama stressed matters of cybersecurity and potential foreign interference should be bipartisan issues, he did not directly address President-elect Donald Trump's downplaying of Russian hacking reports. 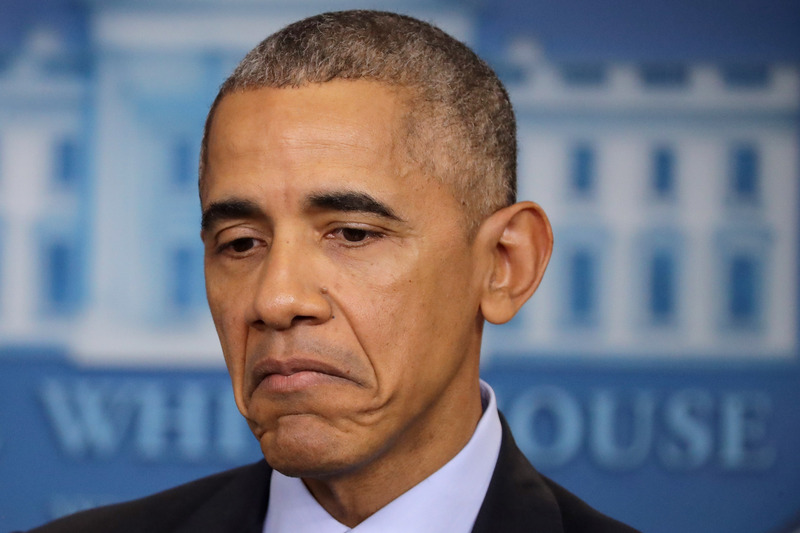 "My hope is that the president-elect is going to similarly be concerned with making sure that we don't have a potential foreign influence in our election process," Obama simply said. The president also refrained from divulging whether his conversation with Putin in September would be the extent of the United States response to the hacks. Expectations for Obama's talking points had been high ahead of his traditional year-end press conference, and many were left disappointed by his refusal to offer more of a response to Russian hacks or President-elect Trump's skepticism. Whatever it takes for a smooth transition of power, I guess. Christmas miracles can happen, right? I love Obama's anger translator. Those hoping Obama would save them from a Trump presidency found their hopes dashed. Let's face it, there may never be an appropriate time to go low. Like say, Democratic nominee Hillary Clinton, who claimed Thursday Putin had ordered the Russian hacks in an attempt "to undermine our democracy" because "he has a personal beef" against her. These reactions show people felt there was something left to be desired after Obama's final press conference of 2016, but you can't please them all.